first of all: thank you for reading my blog – you cannot believe how much I appreciate this! 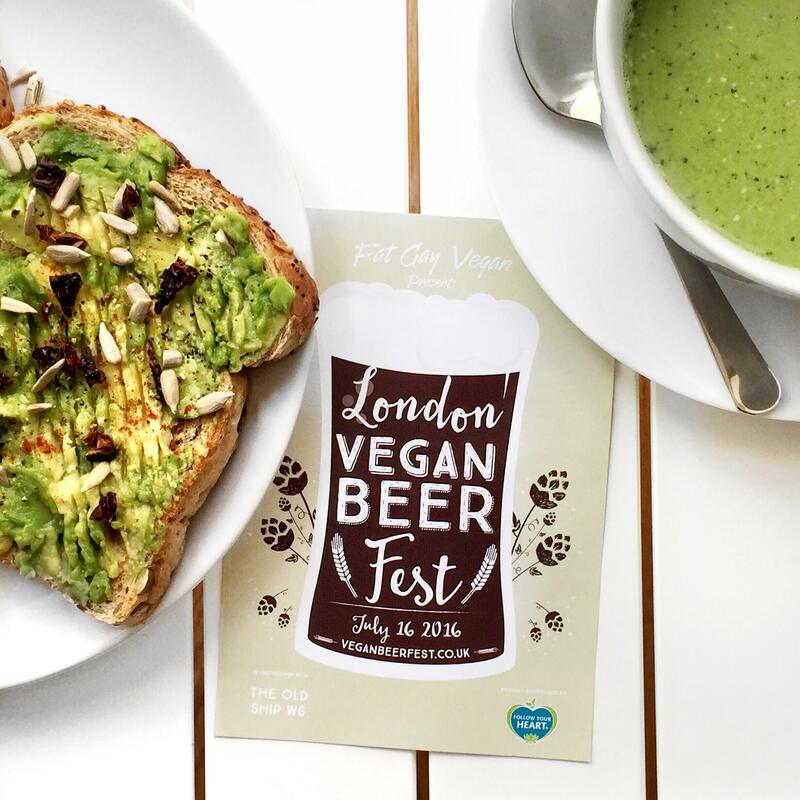 As it is July it was time for the London Vegan Beer Fest once again last week – this time in a new venue: The Old Ship. To give you a little bit of background: The Old Ship is a pub in W6 near Hammersmith, right on the river front – and as a pub everything else than a vegan venue. Fatgayvegan, organiser of the festival, however managed to get The Old Ship go vegan for the weekend. With a lovely garden area right next to the pub, The Old Ship had plenty of space to accommodate vegan bars and food stalls and turned out to be a brilliant venue for this festival. As if the weather gods approved of a bunch of vegans eating and getting tipsy together: the weather turned out to be absolutely amazing – I even nearly got a tan! Sponsored by Follow Your Heart, the first 1000 visitors who subscribed to their mailing list could go home with a free pack of their ‘Vegan Egg’ which the company launched earlier this year and as a true Follow Your Heart lover, this alone would have been reason enough for me to go. 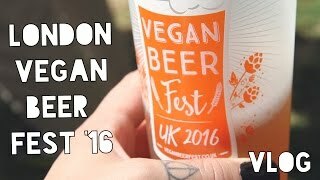 My favourite beer of the day was definitely Fatgayvegan’s own brew: An ale with e blend of lime and Himalayan Pink Salt. Yes, you read that right: salt. Food was amazing, if also expensive: £8 for a breakfast wrap or a burger is not something I would normally spend for a quick bite, but as the beer made us hungry and the food smelled amazing, we could not resist. Nick had a breakfast wrap and I am sure I will be trying to re-create this one some time soon: Vegan Egg, Hashbrowns, Brown Sauce – yum! I myself conquered the queue for the Burger Stand and tried a Mock Duck Burger, as you can see in more detail in my Vlog below. All in all an amazing day – and I am sure I will be going back next year!